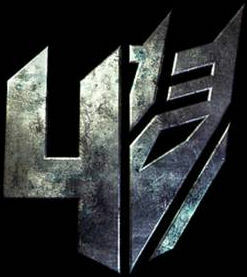 Academy Award nominee Mark Wahlberg has been cast as the lead in the highly anticipated Transformers 4 film, which is scheduled to hit theaters on June 27, 2014. “Mark is awesome. We had a blast working on Pain and Gain and I’m so fired up to be back working with him. An actor of his caliber is the perfect guy to re-invigorate the franchise and carry on the Transformers’ legacy,” said director Michael Bay. The first three films from the franchise have been a box office success. Transformers earned more than $700 million worldwide in 2007; Transformers: Revenge of the Fallen grossed more than $830 million worldwide in 2009; and Transformers: Dark of the Moon grossed more than one billion dollars in 2011 to become the 5th highest grossing film of all time. To date, the franchise has earned more than $2.6 billion worldwide. The new Michael Bay directed action comedy Pain and Gain starring Mark Wahlberg, Dwayne Johnson and Anthony Mackie is based on the unbelievable true story of three personal trainers in 1990s Miami who, in pursuit of the American Dream, get caught up in a criminal enterprise that goes horribly wrong. This film opens in theaters on April 26, 2013 and also stars Ed Harris, Tony Shalhoub, Rob Corddry, Rebel Wilson and Bar Paly.